Gresham High School senior Kimberly McMurry brought fun activities and valuable information to a Troutdale park Saturday to help people learn how important pollinators are to the health of the planet and food supply. 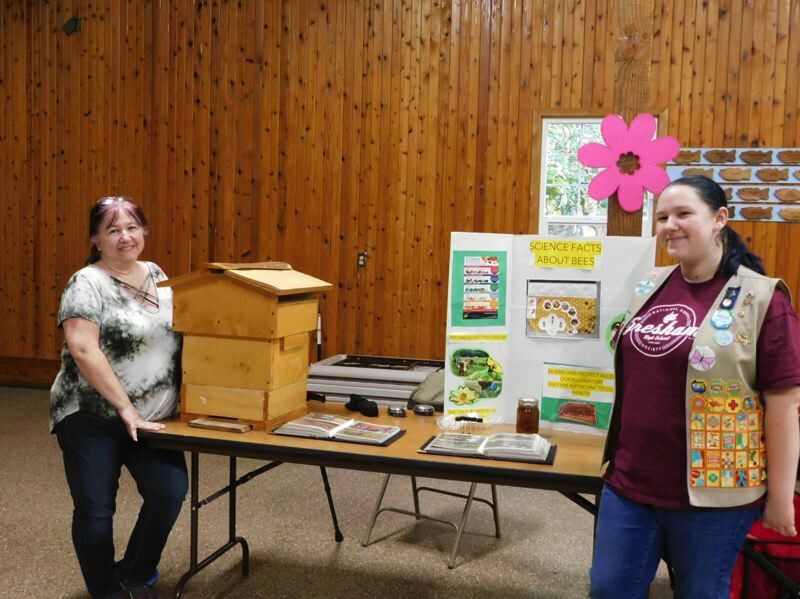 "People seemed to enjoy the activities provided and learning about pollinators," McMurry said about her March 16, "Protect the Pollinators" event at Glenn Otto Community Park on the Historic Columbia River Highway in Troutdale. "The diminishing bee population is really concerning," McMurry said. "I wanted to do something about it." Impressed by a similar gathering on Monarch butterflies she attended, she decided to create an educational event that was also fun for children. One of the activities at Saturday's event involved creating bee hotels. "I saw that at a county fair. It was from a 4H group. I was really interested in it," she said. In organizing the pollinator fair, McCurry got help from her family, other students at Gresham High and the Portland nonprofit group Xerces Society, as well as Oregon State University's Oregon Bee Project. Protect the Pollinators was McMurry's project to earn her Gold Award, the highest honor for a Girl Scout. She's been a Scout for nine years, and two of her sisters are also Girl Scouts. "I really like Girl Scouts," she said. "It's allowed me to show my leadership skills, and I get to do outdoor activities I wouldn't otherwise get to do." She's been zip lining, snow shoeing and kayaking, the latter her favorite new activity. She also likes camp. "I look forward to camp every year. I go with my sister Scouts that are my friends and some are my actual sisters," she said. At Gresham High, McMurry is a member of the National Honor Society and is in the rigorous International Baccalaureate program. She works part-time at Courtyard Fountains, a Gresham retirement home. One of seven children, McMurry's dad works for United Parcel Service and her mother works for Multnomah County. McMurry plans to attend Portland State University and major in biology. She said she hopes those who attended her workshop now "understand the value in helping pollinators and contribute to keeping them around for the benefit of society and protecting our food sources."